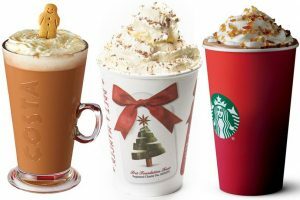 Festive themed hot drinks have become extremely popular over the last year with coffee shop chain Starbucks revealing that its total sales over the 13 weeks to 27 December 2017 had risen to $5.37bn, up 11.9 per cent on the same period in the previous year, and this year the figures are showing no signs of going down. Starbucks continue to say that the reason consumers love hot drinks during the festive season so much is because it gives them the feeling of comfort, warmth and nostalgia. 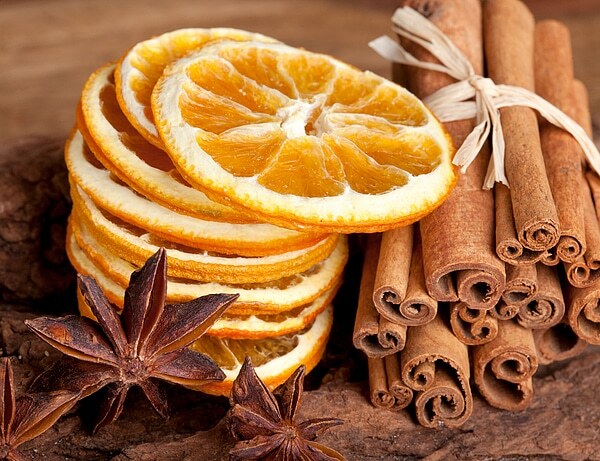 According to blog website Kerry Taste & Nutrition, the festive season is all about indulgence, with 72 per cent of UK consumers agreeing that Christmas is the perfect time to treat yourself, and 66 per cent saying that during Christmas they seek products that help them to unwind and relax. Kerry Taste & Nutrition continue by saying that indulgence will be on many consumers’ minds when enjoying food and drink over Christmas. Another Christmas flavour that is extremely popular in 2018 and can be seen on almost all of the major coffee shop chain menus is caramel. 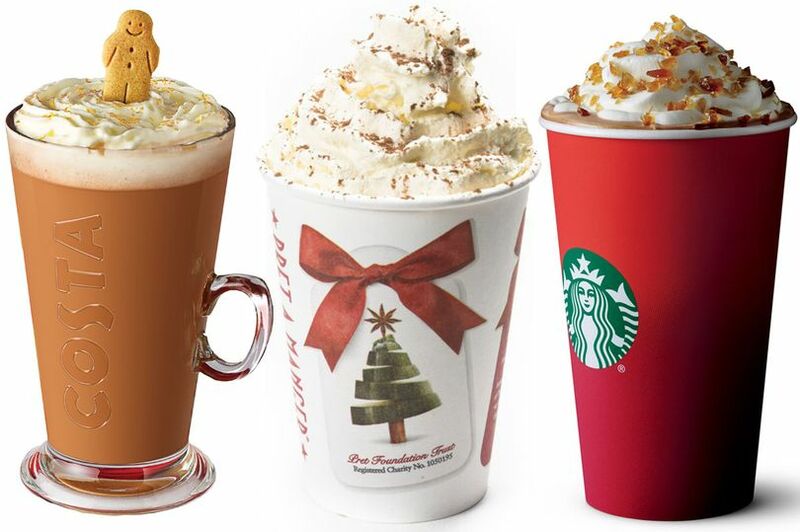 Starbucks has introduced its Christmas brulee latte, Costa a caramelised orange and cream latte, Caffe Nero a caramelised almond brittle latte and McDonalds a Millionaires latte. Whilst all of these flavoured drinks are delicious, it is important to remember that they can contain as much as 14 teaspoons of sugar per serving, therefore they should be considered a treat rather than a staple. In 2018, we have seen consumers become actively conscious of their sugar intake, so catering and hospitality operators should look to serve sugar free alternatives too. 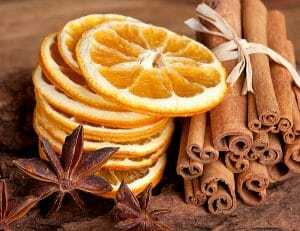 Alongside offering sugar free alternatives, it’s become extremely popular for coffee shops to serve seasonal beverages in seasonally designed hot cups. Every year the major coffee shop chains change their regular hot cups for fun festive themed hot cups, which have become a hit with customers. 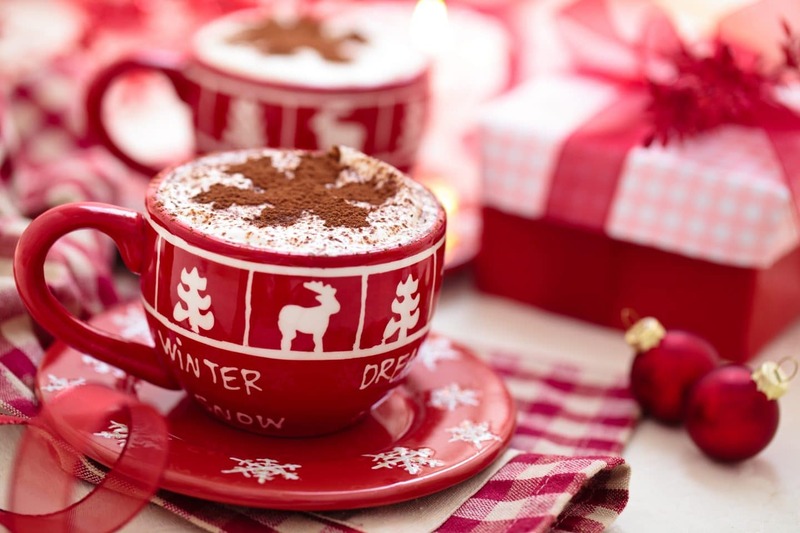 If you’re adding an indulgent hot drink to your Christmas menu in 2018, why not make it an extra special on-the-go treat by serving it in a Festive design hot cup? Our range of festive design hot cups help customers stand out from their competitors, without the need to commit to a bespoke print. Available as single wall smooth and double wall rippled cups, our Festive design hot cups are made in the UK from PEFC Chain of Custody Certified Board. The cups come in either 8/9oz or 10/12oz sizes and can be recycled through the Simply Cups Scheme. The paper cups come in cases of 1,000, sized 8oz and 12oz, with a white or black sip lid. 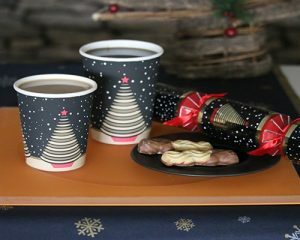 Alongside our festive design hot cups we also offer a comprehensive range of crackers, tableware and party accessories to help foodservice operators deliver a successful party season.